Since the recent release of the game Team Yankee by Battlefront Miniatures, there has been a lot of talk about playing the game (and Flames of War also) in 6mm scale instead of 15mm. And, actually keeping the vehicle movement distances and firing ranges as listed really make for a more realistic battlefield in a lot of people's opinions. 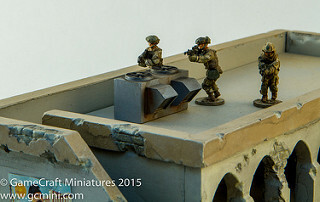 There are a few things that need to be reduced in size along with the miniatures such as artillery templates and infantry/vehicle bases. 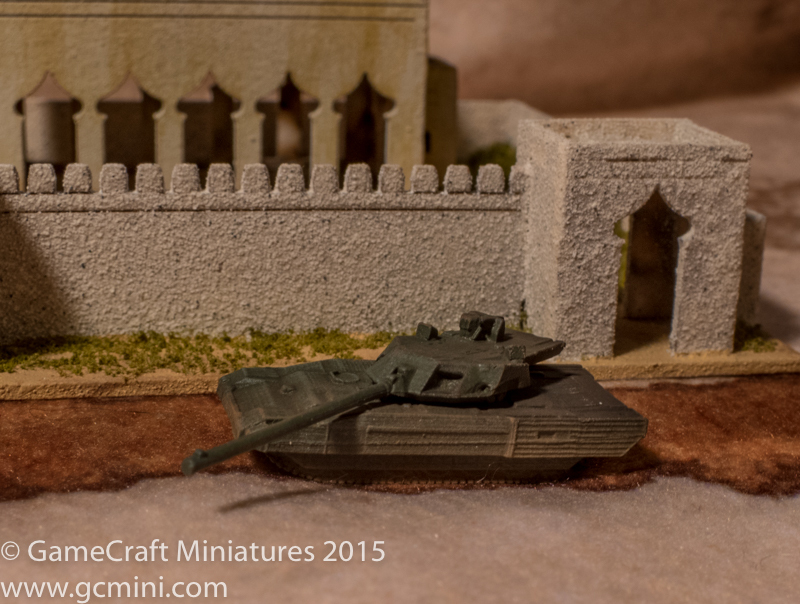 I've created few of these items for people that want to play these games in 6mm. 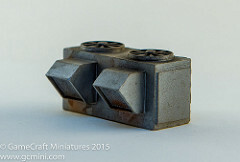 Check them out below and feel free to let me know there are other items that need to be reduced in size for 6mm gaming. 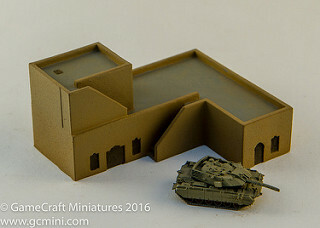 First up is a new two story Middle Eastern building in 1/285th scale (6mm) that includes nicely detailed exterior stairs to allow troops to climb up and fight from the higher levels. This is a one-piece solid resin casting, no assembly require, just paint and use. To see this item on the site or to buy it now, please click HERE. 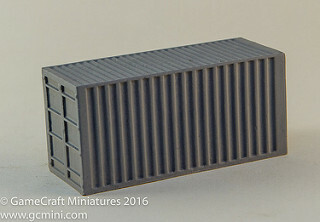 Next up is a 20' shipping container in 15mm scale. This is not another HO scale container that's "close enough" to the right size, this piece was designed and built to be exactly 15mm scale (1/100th scale to be exact. 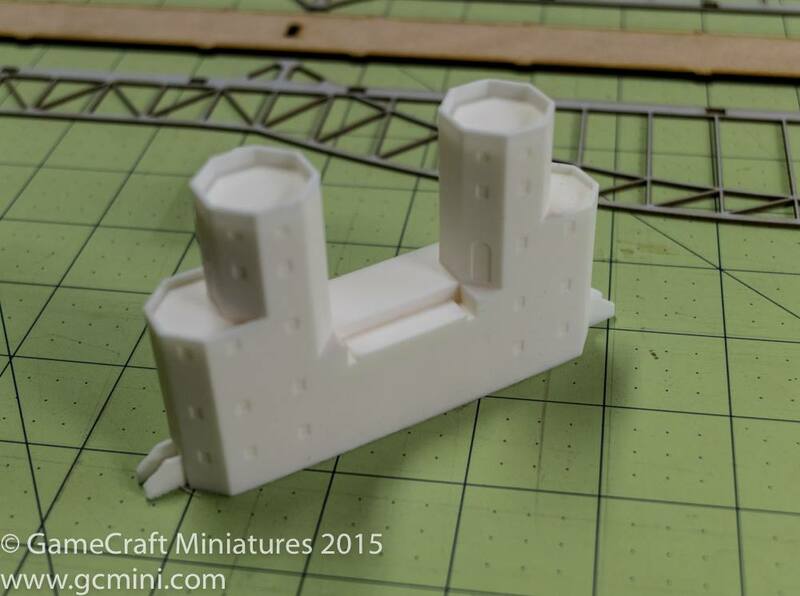 The last piece put online tonight is a 28mm scale rooftop air conditioner unit. Launched today is a new personal project from the owner of GameCraft Miniatures, Allen Rockwell, called "In The Game Room". 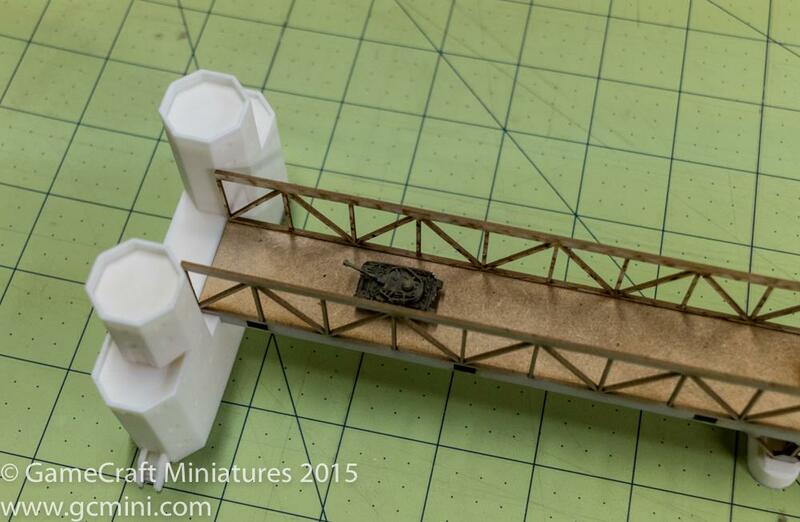 This new show will cover all sorts of topics in the world of miniatures wargaming. Episode number zero is a sort of introduction to the new series and what to expect in the future. 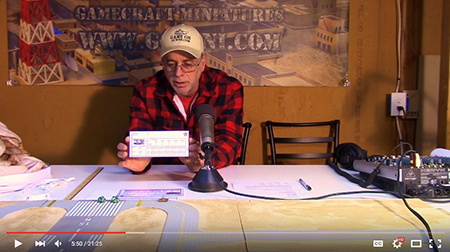 Episode number one covers three topics; Battle Mats, the TAC II wargame, and Ground Scale vs Miniatures Scale. Sometimes called the Ludendorff Bridge and sometimes called the Remagen Bridge, In early March 1945 this was one of two remaining bridges across the River Rhine in Germany when it was captured during the Battle of Remagen by United States Army forces during the closing weeks of World War II. Built in World War I to help deliver reinforcements and supplies to the German troops on the Western Front, it connected Remagen on the west bank and the village of Erpel on the eastern side between two hills flanking the river. The bridge span is 23.34" (593mm) not including the towers, with the towers the span is 24.44" (621mm).